The Alumalite CTS incorporates many of the same features of the original Ol'man Climbing Tree stands such as the patented ComforTech seating and pivoting spreader arms. We've made numerous improvements from other models, incorporating new oval tubing and an improved cable system that makes set up a breeze! Features super-strong oval tubing. 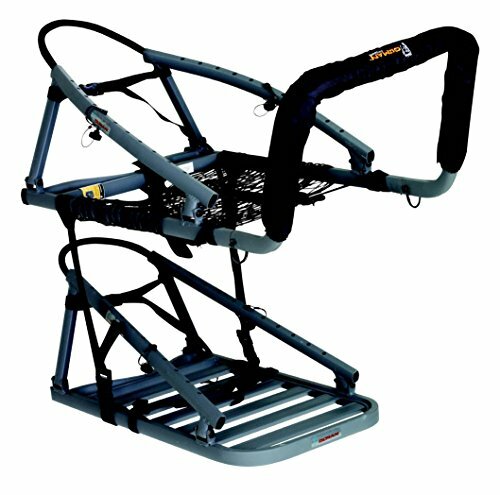 The all new standing platform is designed lighter and features improved tubing style foot straps for easy entry and a better grip. If you have any questions about this product by OL'MAN, contact us by completing and submitting the form below. If you are looking for a specif part number, please include it with your message. 10' Box Stand Hunting | Deluxe, Sturdy, Well-designed Elevated Hidden Hunting Treehouse.